Loss of credibility of the leadership team. 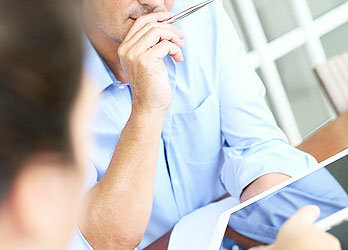 One: Answer the “big” strategic planning questions – but without jargon or by spending a fortune on a consulting firm. Who are our customers and how can we better serve them? Who are our competitors and how can we beat them? What do we do best and how can we build on that edge? How can we prepare the organization to defend against threats and seize opportunities? What are potential scenarios that we need to consider for the future, and how will we prepare for them? Unfortunately, many organizations debate these issues with academic discussions and confusing jargon. They are like philosophers trying to decide how many angels can dance on the head of a pin. At the same time, some organizations come up with brilliant answers to these questions, but can’t quite take them to the point of clear initiatives that get done. The big strategic planning questions are worthless if they don’t result in a few clear, compelling strategic initiatives to strengthen the organization. The most important outcome of the first part of the strategic planning process is to identify the most important priorities for the organization. Starting with a long list of potential priorities, the organization discusses the relative value of each, and hones in on only a few key priorities. This discussion can also lead to greater clarity about the big strategic planning questions, especially about what the organization should do best. Once a list of no more than three to five priorities is agreed upon, the organization can come up with a strategic Rally Cry. This is a one-line statement that conveys the overall strategic push for the organization. Examples could include: "Zero Accidents!" "Kill Bad Jobs" "Expand into the Bay Area" "Develop the Next Generation". During this phase, many organizations settle for a long list of priorities. This has the benefit that nobody feels excluded or insulted. However, it makes it highly unlikely that the organization will get anything done completely. Failing to take things off the plate of busy employees, and instead just stacking more work on them. Having lack of will to stop old initiatives that compete with the new. Not setting clear roles, responsibilities, accountability, and rewards systems. Which of the above areas is weakest in your company? Some leaders are strong at asking the big picture questions, but fail to follow up. Some set too many priorities, and can’t say “no” to good ideas, despite limited resources. Others are strong at executing, but lack the vision to develop compelling strategic initiatives.